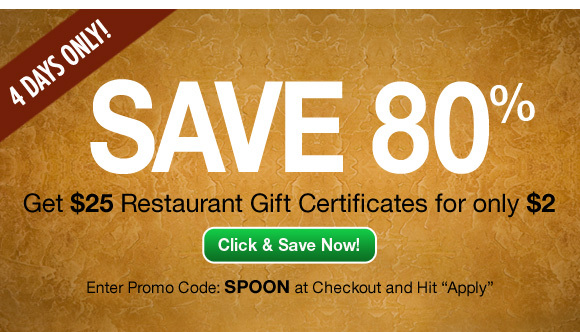 Restuarant.com has a great deal going on – you save 80%! You can get $25 Restaurant Gift Certificates for only $2.00! Offer ends Thursday, January 13, 2011!